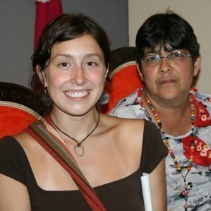 Lindsey Crifasi (Survivor Corps in Colombia): Lindsey received her BA in Spanish and International Studies at the University of Kansas. After graduation she was able to spend a year working with children with disabilities at a local elementary school. In the summer of 2008, Lindsey worked as a language teacher in the shantytowns of Rio de Janeiro, Brazil. In 2009, she interned at Amnesty International. Lindsey graduated from American University with her Masters in International Peace and Conflict Resolution. Jairo is Survivor Corps’ Strategic Director for Colombia. He’s the only staff member for Survivor Corps in Colombia, but his knowledge, experience, and contacts have made this post second nature for him and allow Survivor Corps’ program flourish. Survivors around the world unite! Maximus Miami Quad Rugby This promo video for quad rugby in Miami has everything…laughs…action…MY voice! Group discussion: How can we make the convention center in Cartagena accessible? …and a friend has come to visit. Juliette and I interned together at Amnesty International. From an interview with Conciudadania’s Territorial Director, Benjamín Cardona…on results of Collective Action for Reconciliation project 5/8/09 in Santa Fe de Antioquia. Lindsey, meet Bogotá. Bogotá, Lindsey.